The life and tragedy of a fighting admiral and Churchill's role in his death In the early days of the First World War, on 1 November 1914 in the seas off the Falkland Islands, the Battle of Coronel claimed 1660 lives, the worst British naval disaster for 100 years. Rear Admiral Sir Christopher Cradock, who died that day, had been badly advised and equipped, and sailed to engage with Vice Admiral Graf von Spee knowing that he and his men were almost certainly doomed. Why he took such a course of action, and who was really to blame for the disaster, form the core of The Scapegoat, Steve Dunn's definitive biography of one of the British navy's forgotten heroes. 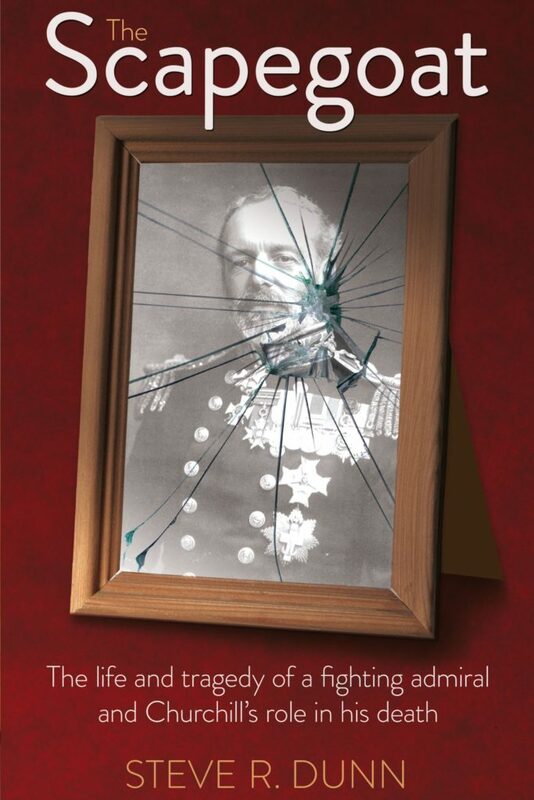 Kit Cradock's story touches on the personal and the political, given Winston Churchill s role in the events at Coronel, and The Scapegoat reveals the full truth for the first time. However weighty Mr Churchill's pen, he cannot explain away the awful fact that a mistake was made by the authorities at home and not Admiral Cradock, wrote a survivor of the carnage of the Battle of Coronel, in just one of the many previously unseen documents uncovered by Dunn in his 20 years of in-depth background research.